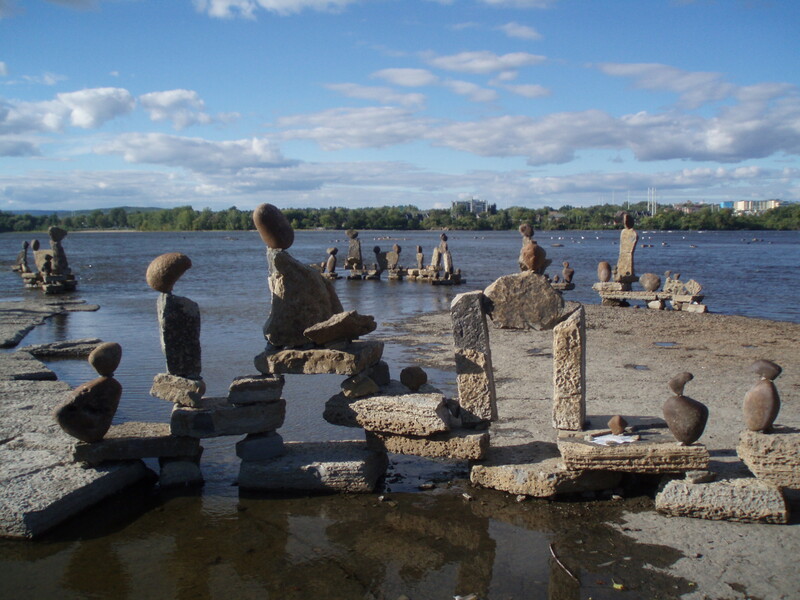 As a runner and outdoor enthusiast, I can`t think of where I`d rather live and train than right here in the National Capital Region of Ottawa/Gatineau. With over 550 kilometers of trails and recreational pathways, there are scenic, traffic–free running routes for every taste and any time of the year. Plenty to explore in preparation for a 424 kilometer run across The Gambia! More than 230 kilometers of the mostly paved recreational pathways follow the river system and the historic Rideau Canal, offering spectacular views along tree lined riverbanks and taking runners through city parks, past the impressive Parliament Buildings and many other Ottawa sights like the National Art Gallery , National Arts Centre, and the War Museum, to name but a few. Spring is my favourite time to run along the pathways, as the bursts of colour from the tulip beds and the sightings of fluffy, newly hatched goslings will inevitably put a smile on my face. The fact that the deep freeze is over probably also contributes! Having said that, winter running on the frozen canal alongside the skaters can also be pretty entertaining, especially since not everyone skates like Sidney Crosby (myself included!). Ottawa’s Greenbelt boasts another 150 kilometers of trail around the circumference of town. Here we can find little gems, such as Stoney Swamp with its beaver ponds and forests or the Mer Bleue Bog, a 3,500 hectare conservation area of a northern boreal landscape. Running along the trails and bouncy boardwalks through the bog will put a spring in anyone’s step. In the winter, it is fun to explore these trails on snowshoes. 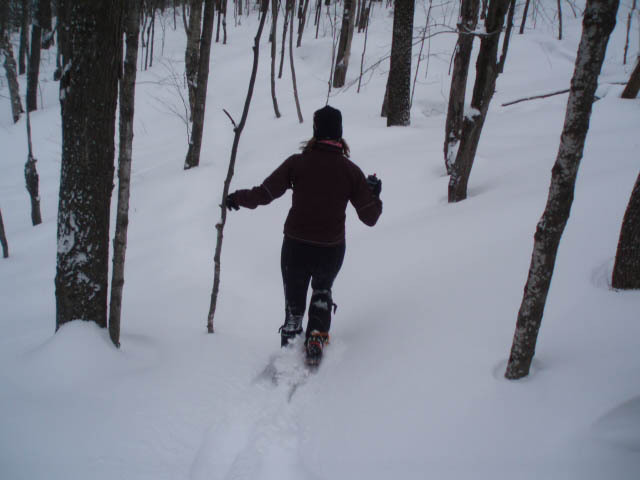 As a bonus, snowshoe running builds functional leg strength and will make running in just a pair of shoes feel easy. Gatineau Park has to be my favourite, though. 165 kilometers of forest trails: some technical, some easier to negotiate, many offering spectacular vistas after a glute-burning climb, and all of them guaranteed to get your shoes and legs dirty. Now that’s my kind of running! Bear and deer sightings are not uncommon. In the summer, we often finish a run by one of the lakes to cool off and escape the bugs. In the cooler weather, we gather post-run at a café in the scenic community of Chelsea, Quebec, to warm up with soup and hot chocolate. 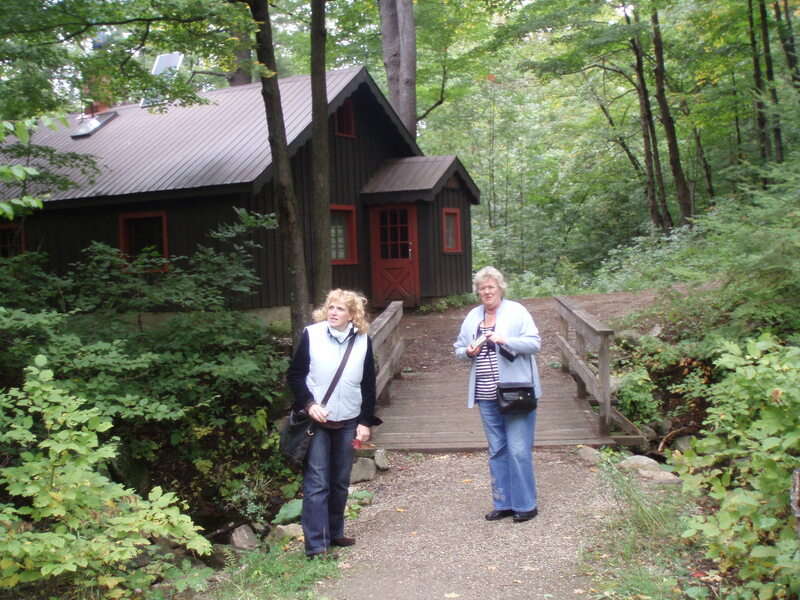 The park is also sprinkled with cabins that make amazing potluck dinner destinations. Tuesday nights are popular potluck nights and we run or ski up to a cabin carrying packs stuffed with food on our backs to contribute to the feast. Talk about earning your dinner! In the winter, the park’s trails and parkways turn into groomed classic and skate ski trails, as well as into snowshoe paths. You bet it’s cold – best not to look at the little thermometer on your jacket zipper unless you have to figure out what wax to use on your skis. But Ottawa is not only conducive to running due to its extensive trail network. Each summer, the city’s and Gatineau Park’s parkways close to traffic on Sunday mornings to make way for runners, roller bladers, cyclists, walkers and roller skiers. Kids practice riding their bikes with training wheels and parents push baby joggers along the river system while cyclists fly down the hills in Gatineau Park, safe in the knowledge they will not be encountering any cars. And last, but not least, another huge plus for running in Ottawa/Gatineau is that we have a tremendous athletic community. There is no shortage of talent and enthusiasm, as well as a ready willingness to support others that are part of the athletic family. Here’s hoping that we’ll be able to spread some of that love in The Gambia as well! Thanks for reading and for your support to Love4Gambia! This entry was posted in Running in Ottawa and tagged cross country skiing, Gatineau Park, National Capital Region, Ottawa, running routes, snowshoeing, trail running, winter running. Bookmark the permalink.